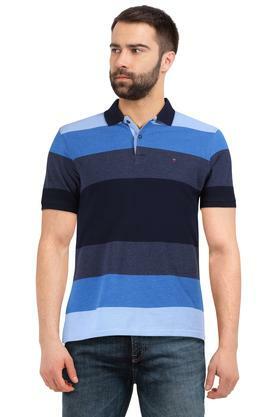 Fix yourself a suave look with this polo t-shirt from LP Sports. It has a striped pattern that renders it smart while the short sleeves add to the design. 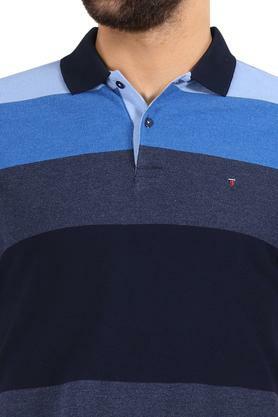 Further, the use of a good quality fabric ensures maximum breathability and utmost comfort. 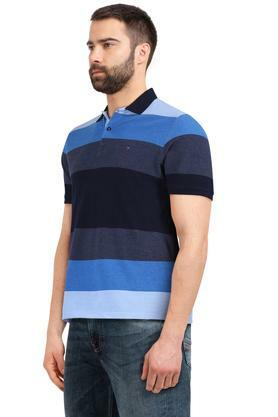 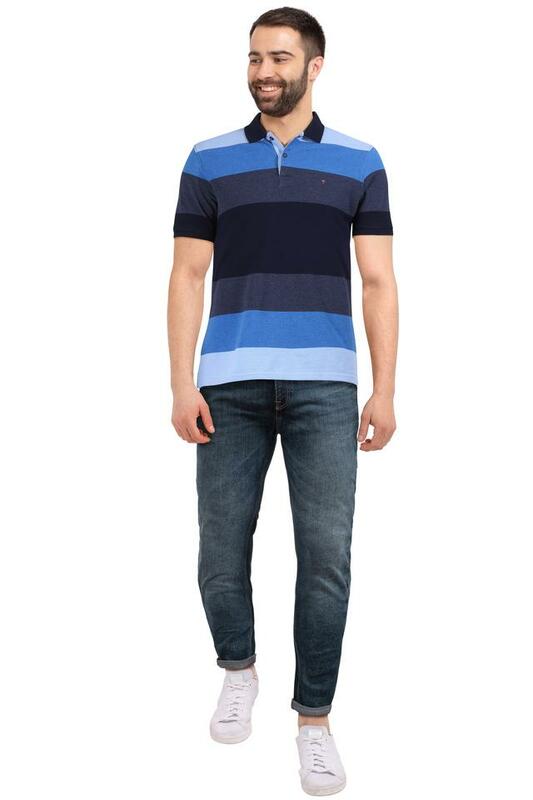 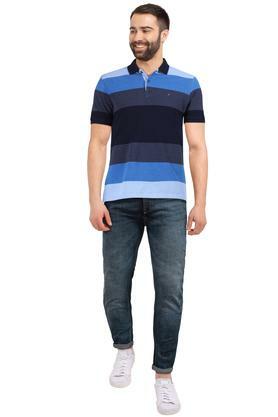 Keep your casual look simple yet stylish as you wear this polo t-shirt. 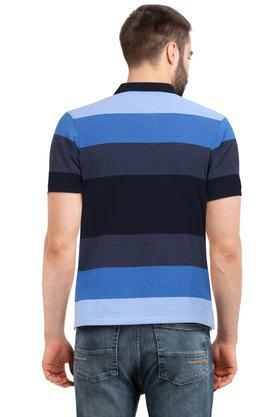 It can easily go with light colored jeans, and a pair of leather shoes will be added hint of glamour to this t-shirt.